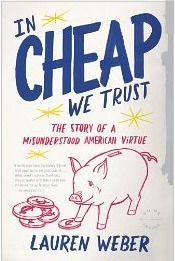 I recently read the book In Cheap We Trust: The Story of a Misunderstood American Virtue , by Lauren Weber, which I highly recommend. Fittingly, I borrowed it from the library when the title caught my eye. The book has many dimensions. First, it is part history of thrift, frugality and cheapness throughout American history from the early beginnings, all the way through the recent economic downturn. It turns out even though we talk like "thrift" and savings is something earlier generations did, but we've lost the art of, that really isn't the case. Basically, Americans, as a whole, have never been great savers but instead have consumed every chance they got, with only big events like wars and the Great Depression slowing them down. The other part of the book is about the psychology of cheapskates and extremely frugal people. Although she discusses some pretty extreme methods of frugality, such as dumpster diving, she in general makes those who practice frugality into a pretty lovable lot who you want to emulate for their values and embrace of the simple life and simple pleasures. Weber also makes a very profound case for why we need to become more frugal as a nation, and individually. This involves not only saving for emergencies, which are basically inevitable, to balance out our economy, and also because of the ecological impact our over-consumption is having on this planet. As my own family's household manager the chapter I found most interesting was Chapter 3, which discusses the history of frugality as studied through housekeeping manuals of various eras. 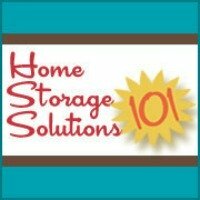 I thought it was really interesting to see how the idea of "home economics" changed over the years, as we shifted from more of a production society, where women worked in the home to produce most of their own goods, such as clothing, food, etc., to a consumer society where we purchased all those same things instead. Further, another chapter that really struck me was Chapter 8, which she calls "Eco-Cheap," which really helped convince me that my newly discovered quest to live a more sustainable life can work well with my quest to be more frugal, and that the two quests really complement each other. Therefore, I would also recommend In Cheap We Trust as a sustainable living book. economic theories, such as the "paradox of thrift" which is the theory that when we save too much it doesn't stimulate the economy, which then stagnates. This is an argument I keep hearing about why we should continue to spend, when my gut has always said we need to save more because cheap credit isn't sustainable in the long run. She explains the theory pretty well, and also explains why we should, as a society and as families, continue to save money. We should opt for lives with greater moderation and balance, between the cyclical extremes of austerity and spending which we've had in the past for a better society in the future, which is more secure and better for all people living in it, not just the top 1% of earners. Finally, the book discussed the voluntary simplicity movement which has been gaining influence in recent years. (See my suggestions for several good simple living blogs.) The book provided the best definition I've seen of simple living, which "is not dogmatically to live with less, but a more demanding intention of living with balance in order to find a life of greater purpose, fulfillment, and satisfaction." Just as frugality and sustainable living can coexist hand in hand, its third partner is simple living. Combining these three principles, I am convinced can help us live happier, simpler, and more fulfilling lives. I would highly recommend In Cheap We Trust as a good book on personal finance, to get a good mind set around the virtues of thrift, frugality and cheapness. As household managers we are like the CFOs (chief financial officers) of our homes, and we need to manage money responsibly, prudently, and with great care to take care of our families. This book is really just an introduction of concepts and puts the ideas of thrift, frugality and cheapness in its greater historical context. It is not a set of rules for how to be frugal, but it is a great first step on that path. If you've read this book I would love to hear your comments about it below. In addition, you can share your own recommendations and reviews of personal finance books here. Your message ended up in my junk mailbox, and I only just rescued it. Thanks so much for writing - I love hearing from readers and seeing what aspects of the book spoke to them most. I'm glad you liked the chapters on eco-cheap and household manuals from the 1800s (Lydia Maria Child was one of my favorite characters to write about!). I too found it interesting to trace women's lives and women's roles through the lens of home economics and advice about housekeeping -- the domestic sphere had a greater value as people began to appreciate the skills that went into running a home. Not everyone comes to that naturally. While I was working on the book, one interesting effect was that I lost all interest in shopping. I became focused on getting things out of my apartment, not bringing in new stuff. I was a mall rat as a suburban teenager, but now I feel like my possessions weigh me down and I'm much more interested in being selective about what I own. This is cheaper of course, and better for the environment, and seems to leave more room in my mind as well. Good luck with your website and your businesses. And thanks again for your note and review. Join in and write your own page! It's easy to do. How? Simply click here to return to books on personal finance.